In order to test the new checklist before I posted it, I re-submitted the movies I had already evaluated with the old checklist to the new one. I’ll be updating those old posts for a while, and doing quick highlights here of how they answered one of the new questions. One addition to the checklist is that the hero’s primary motivation for at least the first half of the story should not be selfless. 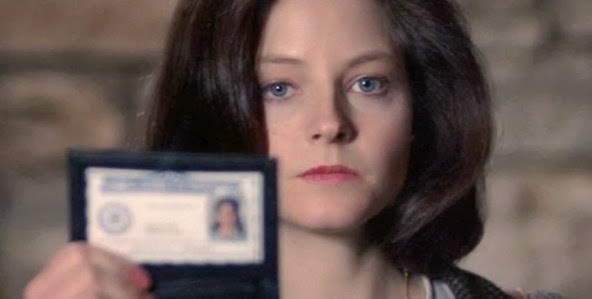 In Silence of the Lambs, Clarice Starling is a straight-up stand-up-and-cheer hero, and audiences love her unreservedly, but, like real heroes, she’s far from selfless. She’s not a pro bono volunteer at the FBI, it’s her career, and there’s no doubt what her motivation is for most of the movie: advancement. She follows instructions to the letter, lets her boss hold her back or spur her forward, and genuinely respects him. She doesn’t burn with rage at “technicalities”, or society’s failings, or the thought of “injustice” as an abstract concept. This was especially notable because there had been a lot of cop movies in the previous twenty years in which the cop was advised to think about his career, only to angrily retort that this wasn’t about his career, dammit, this was about the victims! Clarice feels for the victim, but she doesn’t pretend that she’s the only one who does, and she clearly knows that the victim’s loved ones must be kept away from a case with a ten foot pole, because they’ll just screw everything up. Wait, Harvey, how is personal revenge in any way "selfless"? That's as lame a motivation as the craptastic dual parent-death-revenge fantasies that Matt's bemoaned for driving the Abrams STAR TREK reboot. I think there are some gradations to the selfless/selfish motivation exchange that are more plausible than others. Like Luke Skywalker's initially self-interested desire to become a pilot (then a Jedi) and join the rebellion. Revenge for his aunt and uncle are in the mix eventually, but it's not treated as anywhere close to the primary cause nor is it referred to later or held up as some kind of example of his later more self actualized reason for fighting. Well, it's tricky. The question specifies that the motivation should *start out* as non-selfless, and it should never become *entirely* selfless, but another question, about morally ascending instead of descending, speaks to my belief that stories in which motivation become *somewhat more* selfless as the story progresses are inherently more meaningful than stories in which the hero's motivation becomes more selfish, so it's important that both exist, but the real question for me is the direction of the trend. I certainly agree with Harvey's point, that you can't use backstory to explain a hero's excessive dedication to the cause, especially because that backstory is usually revealed late, thus taking the form of a descent to personal motivation. And I would agree that one reason that the 2009 Star Trek felt so depressing was that they started out civic-minded ("Let's explore the galaxy!") and becomes revenge-based ("He killed my dad!" "He killed my mom!" "Let's kill him!") which was clearly a descent. Yes, for Luke, even though first his aunt and uncle and then Obi Wan all die, it's clear that he needs to become more spiritual, not less, in order to win. He's far from a revenge trip in all three movies, and they're stronger for that. I'm still confused about whether or not personal revenge -- "They killed my_____ (brother, sister, father, mother, aunt, uncle, etc.") -- is supposed to be somehow more selfless, less objectionable, more relatable and in any way marginally more noble than revenge for a more general/abstract cause. Though it's probably better still to take the case because you're a down and out alcoholic who hasn't had a real client in years and is just looking for a fast buck... Only to find that the case itself has merit... That the people involved have serious, legitimate needs... Especially the comatose orca victim... And that, most of all, SeaWorld and their lawyers are blatantly corrupt in conspiring to cover up their gross negligence and willful disregard of warning signs and accepted safety standards. Oops, I've just described a killer whale attack remake of THE VERDICT.